Interlux is proud to be a world-leading provider of high-performance boat paint, with more than a century’s expertise in protecting all kinds of vessels against even the harshest marine environments. InterProtect 2000E is the industry’s epoxy primer and barrier system of choice, delivering outstanding protection against water absorption, corrosion and blistering through the use of Microplates. This advanced barrier technology uses overlapping Microplates to create a strong, impermeable layer that stops water from reaching the substrate, preventing corrosion and damage caused by osmosis. InterProtect 2000E is also optimized for convenient application, combining the signature proven performance of Interlux with an application process that is quick and easy, designed to eliminate sagging and running. 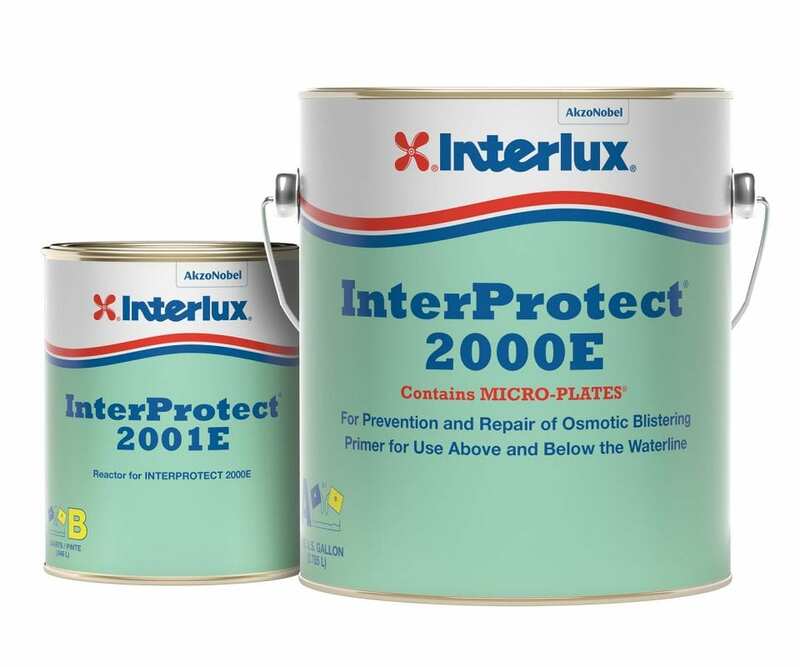 InterProtect 2000E is a versatile product for use on new boats and used boats for use as a barrier system, a topside primer and a No Sand primer for new boat antifouling applications, epoxy primer for under water metals, allowing most Interlux antifoulings to be applied with no further surface preparation required. Ideal for fiberglass, composite, metal and wood with excellent adhesion, there’s no better priming solution for your boat.